A few outlets have recently been covering the reemergence of the Edgley Optica. In the 80s, his was an aircraft that was coming in to production. 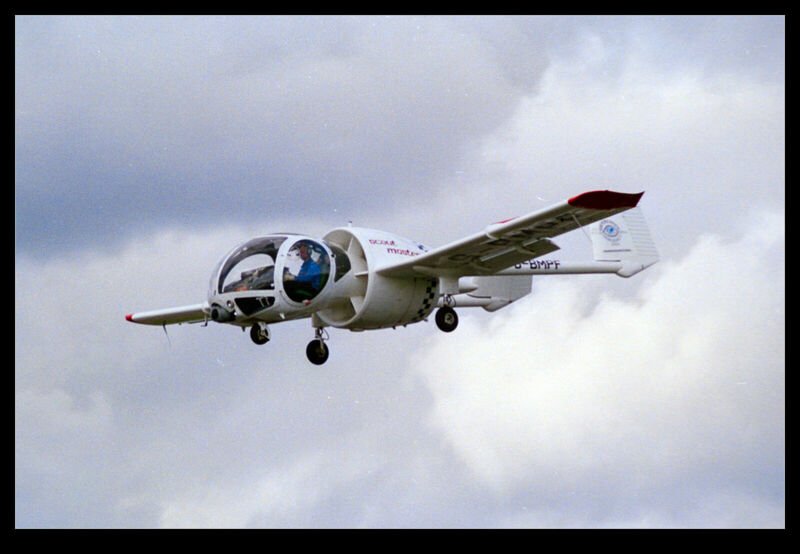 Designed as an observation platform, it is a rather interesting looking airframe. A bulbous fuselage sits ahead of the wing and the powerplant is mounted in the rear driving a ducted fan. The unrestricted view is supposed to make the aircraft ideal for seeing what is going on below. Supposedly, the ducted fan makes for a low noise signature which helps the “stealthiness” of the aircraft. The ownership of the design moved through a few entities and the program experienced some setbacks including a crash and a fire that destroyed a number of in production aircraft. Ultimately, the whole thing sputtered to a stop. 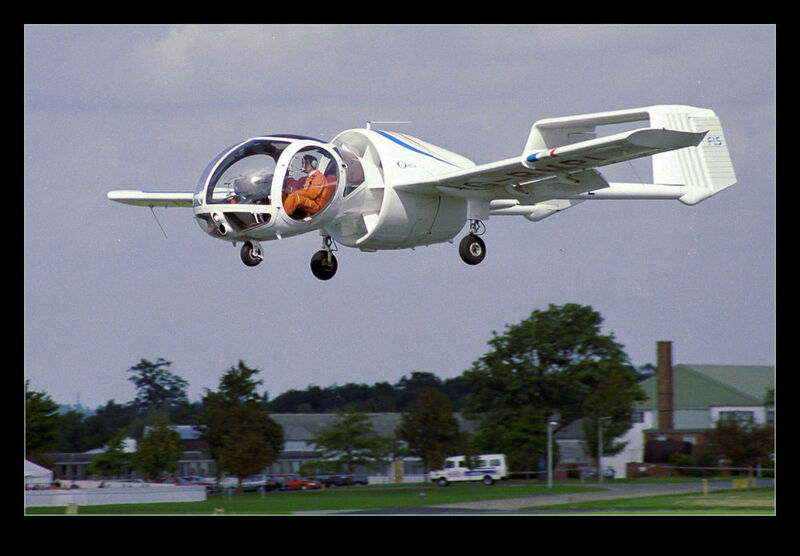 A few airframes are still in use around the world but John Edgley, the original designer, has bought back the rights and is now trying to relaunch the project. 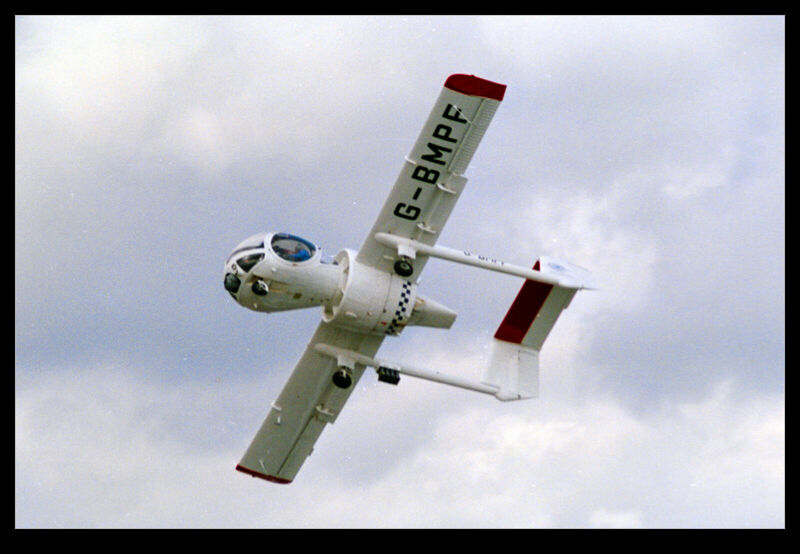 I saw the aircraft at Farnborough back at the end of the 80s and beginning of the 90s. These shots were taken then. I really would quite like to track down some of the currently active airframes. This entry was posted in Air Shows, aircraft, civil, photo and tagged aircraft, airplane, airshow, civil, edgley, Farnborough, light, observation, optica, photo, piston. Bookmark the permalink.